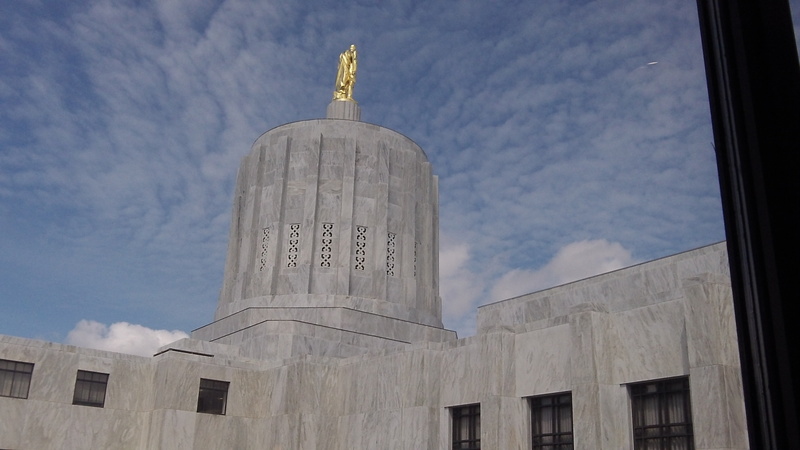 The Oregon Capitol: Apparently not immune to cyber attacks from abroad. So why would foreigners hack the online systems of the Oregon secretary of state, and what were they hoping to steal or achieve? Secretary of State Kate Brown and her staff said they believe no credit card information was compromised. So is there anything else worth trying to steal? It’s a mystery, and we can only hope that the FBI or someone can quickly find out. 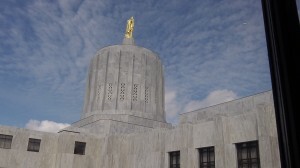 On Feb. 6, Brown said in a press statement her agency had detected, stopped and was looking into “the full scope of the recent unauthorized access of the Secretary of State’s online systems.” People use those systems to, among other things, report campaign contributions and expenses, pay annual business registration and election filing fees, and buy the Oregon Blue Book and other State Archives merchandise. But the systems don’t store “full credit card information,” whatever that means, so if the hackers were looking for that, they presumably were out of luck. As a precaution the systems were taken off line. So who did it? The agency website says: “The attack appears to have been launched from a foreign overseas entity.” Who? A foreign government? A foreign company? Russian gangsters? Al Qaida in the Maghreb? Why would anyone abroad have an interest in Oregon business registrations or campaign financial data or anything else in the custody of the secretary of state? After all, the public can access the material online any time of day or night, without charge. Maybe what the attackers were trying to do was not to steal anything but to manipulate or falsify information. Maybe someone somewhere has a secret interest in the direction of Oregon commerce or politics and wants to affect either, or both. Whatever the case, this is just more proof that government has a hard time getting it right. Wherever the government has been involved it has breaches of information – from the CIA down to little ole Oregon. After the Cover Oregon fiasco, do you really trust our state officials to have a clue about ANYTHING online? I guess she just didn’t want to state the truth and say she doesn’t have a clue about what happened.